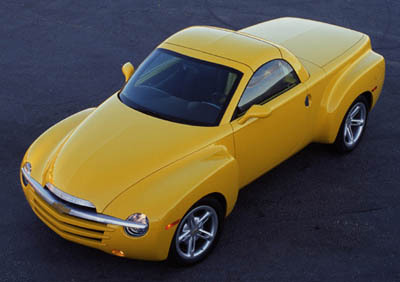 The Chevrolet SSR concept was well received when it was introduced at the 2000 North American International Auto show. The SSR brought Chevrolets' truck design philosophy into the new millennium. The retro design is reminiscent of the trucks of the 1950s with flared, exaggerated wheel arches which hide 19" wheels up front and 20" wheels at the back. 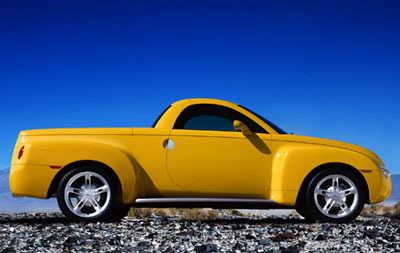 Power for the Chevrolet SSR comes from a 5.3 L 285 hp V8.